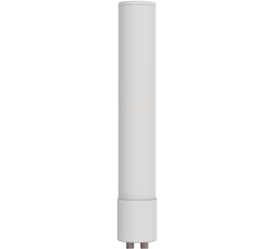 The iBridge N5-45 is the industry’s first sector antenna to deliver the best of both worlds — incredible noise rejection and long-distance performance, with wideband 4.9–6.4 GHz operation for fixed wireless broadband. 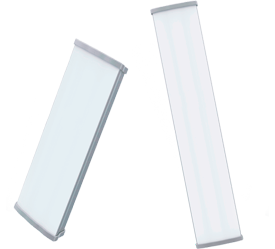 The dual-slant polarization, 45º sector can be used with any third-party 2×2 MIMO radio solution, or two N5-45 antennas can be connected to the 4×4 MIMO iBridge A5c access point, aimed in different directions, for 2x and 4x spectrum reuse, superior range and noise rejection at collocation and tower sites. Introducing the industry’s first 4-port, beamforming, 360º antenna specifically designed exclusively for Airpsan’s iBridge A5c access point. 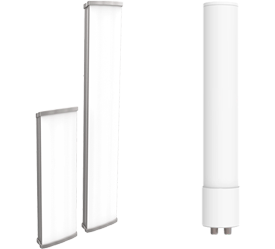 The iBridge N5-360 antenna’s unique design incorporates quad-180º overlapping antenna polarizations, doubling the coverage of MicroPoP deployments with 3 dB of beamforming gain. The iBridge N5-360 boosts throughput by providing balanced dual-stream coverage over 360º of azimuth. Without sacrificing performance, the iBridge N5-360 operates over a wide frequency range, from 4.9 to 6.4 GHz, supporting licensed public safety bands and other expanded frequencies, where permitted by region.